By Costa Maragos Posted: March 31, 2017 6:00 a.m. 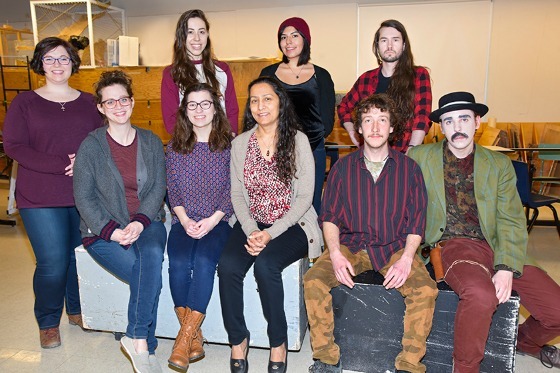 The works of some of the University’s emerging artists have found prime space on the walls of the MacKenzie Art Gallery in Regina. The Visual Arts Graduating BFA Exhibition is now on display at the gallery until April 9, 2017. The show, Nonagon / In Flux, presents new works by Jeffrey Altwasser, Danielle Corson, Dylan Dowler, Elizabeth Elich, Brittany Gillies, Mackenze Grad, Madhu Kumar, Matthew Lapierre and Audio Murray. The students have been guided by renowned Canadian curator, Wayne Baerwaldt. 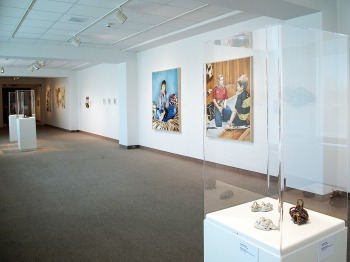 The MacKenzie Art Gallery, in partnership with the University of Regina, has been hosting the BFA exhibition for more than 30 years. The current exhibit has been open since March 18. However, the highlight is the public reception which takes place Saturday, April 1 at 2 p.m. The reception will include a silent auction and music by Ava Wild. The event is free and open to the public. Student organizers say the reception is in need of volunteers. If you’re interested please contact Dylan Dowler at dmdowler@sasktel.net.